This user-friendly guide to the Queen City's most iconic sites includes some new faces in town. Using archival photos, current images, and a site map, author Maria Scrivani brings a fresh perspective to the architectural history of her hometown. The questions she poses plague preservationists and perplexes the average citizen: how does preservation happen, and why is it important? Who are the local heroes? Can grass-roots activism really make a difference? 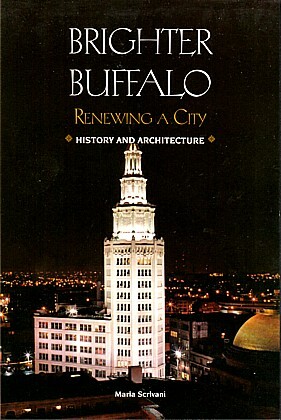 Ultimately, Brighter Buffalo holds out the hope that a once-great city can restore itself.